The Maxpedition 1308 Pistol and Gun Case Gun Rug fits one pistol and up to five mags. 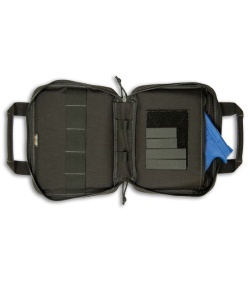 Designed to keep your handgun safe and protected with dual lockable zipper slides. Two 1" elastic loops sit inside at the bottom and an interior 4" x 6" loop field with assorted hook strips for small parts and tools. 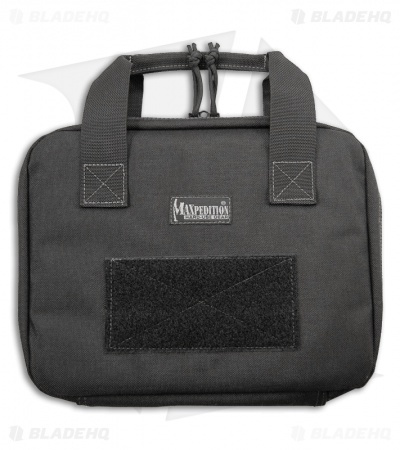 Carry handles plus D-rings for a shoulder strap that is sold separately. Exterior 3” x 6” loop field for name/ID patch. 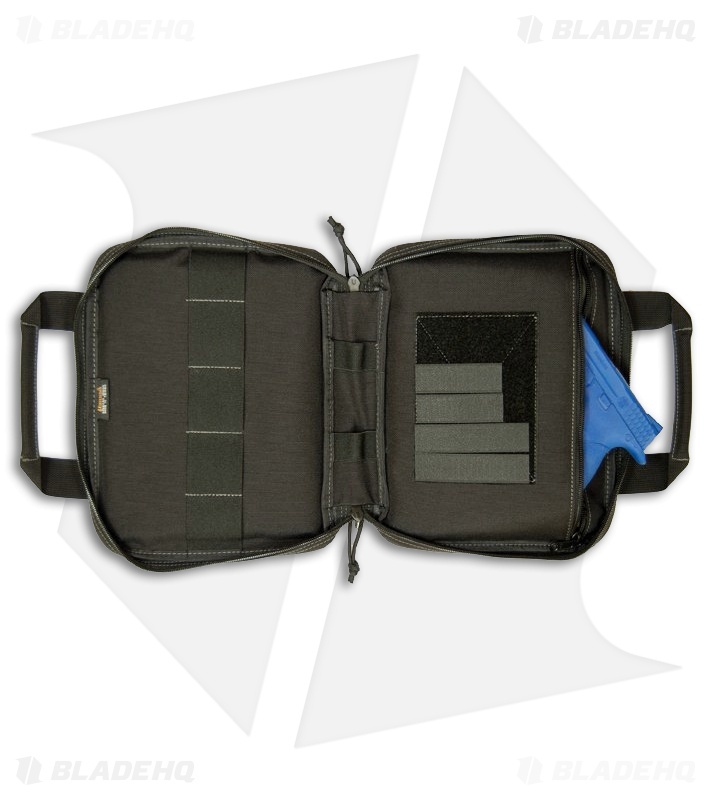 The 1308 Gun Case measures 8” high x 10” wide x 2” thick.